And it comes to an end. The festivities, fasting, celebration and glamour of the nine nights – so long! It also brings an end to the #9Days of Womanhood blog marathon of 23 awesome women bloggers. I have to be honest that it is one of the best blog marathons I have been into thus far. I thoroughly enjoyed not only reading the blogs but also thinking and writing about those aspects of womanhood and motherhood that I never really thought and talked about. These nine days have been a journey of self-enlightenment. It brings me immense pleasure to share that I, along with 22 other bloggers are celebrating #9daysofwomanhood throughout Navratri. I thank Nayantara for introducing me. She writes about her sweet and sour mommyhood adventures at Mommying BabyT. Check out her thoughts on today’s prompt! While researching for today’s prompt, I was literally drawing a blank. I didn’t know what to write as for me this is the toughest prompt. I looked at my laptop screen and all that white space. I had no idea how to interpret this one? I am a Hindu but I am not a religious person and never really delved deep into knowing about gods and goddesses. I am not a temple-goer. I am not a worshipper. However, I firmly believe in Karma. I am a believer in divine energy and its presence. I draw my inspiration and strength from the power of “Karma”. Upon researching, I found that Hinduism has no deity that represents Karma. In Hinduism, “Karma” literally means “deed” or “act”, and more broadly names the universal principle of cause and effect, action and reaction, which Hindus believe governs all consciousness. Karma is not fate, for we act with what can be described as a conditioned free will creating our own destinies. Similarly, in the Buddhist tradition, Karma refers to action driven by intention which leads to future consequences. In Tibet and in Buddhism, Srin-mo is the goddess that stands for Karma, Universal Law, excellence, sports and cycles. Her symbols are the Great Round, a cosmic wheel upon which the movement of human life is recorded with each thought, word and deed; and a boomerang. Metaphysically speaking, the boomerang’s movement represents the threefold law and Srinmo’s karmic balance (i.e., everything you send out returns to you thrice). Srinmo’s demonic visage reminds that one should strive for good in this life for the beauty it brings now and in our next incarnation. Reincarnation is one of the common themes between Hinduism and Buddhism theories of Karma. As nature and as a woman, the forces of wilderness, which rebel against androcentric civilization, are bundled within Srin-mo. In singular or plural form, she traverses all the different periods of Tibetan religious life, performing a central role in folklore and literature as well, and reveals an outstanding vitality in her various transformations. 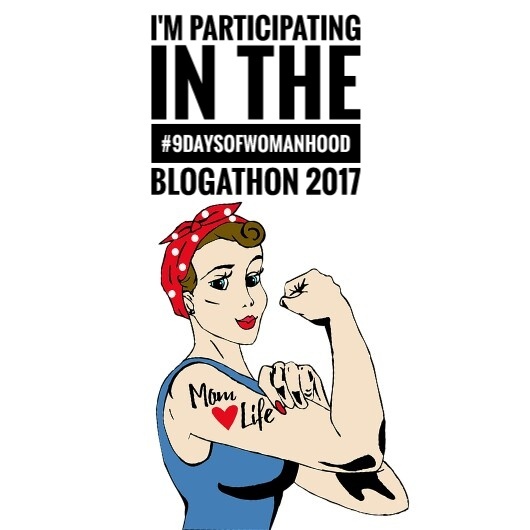 I have written this blog as a part of #9daysofwomanhood blogathon. Prompt for Day 8 was an Instagram post on “A Message for Your Baby”. Take a look at it on my page PrettyMummaSays. Prompt for Day 9 blog post is “A goddess or any other woman/women around you and relate her qualities with yourself”. Further, I would like to introduce Upasana. Read her thoughts on today’s prompt on her blog http://www.upasanagoswami.wordpress.com. I never knew these details. Thanks for sharing this unique take on the prompt. Lovely write. It shows your research dear. Had no clue about Srin Mo and I appreciate that I know something new today, due to your research. I firmly believe in Karma too, because what goes around comes around! That’s a very different angel of looking at the prompt. I like the concept of boomerang. That’s might be the reason why we call Jeewan Chakra. As we come back from where we have started completing the whole circle. That’s a great piece of information stating how important it is to believe the karma.. Karma is a strange friend.But a good teacher.Loved your wisdom which shines through. I don’t read much about such topics and this article was quite an eye opener for me. Thank you so much for introducing me and sharing these details about Srin mo. I learnt something new today ..